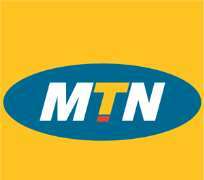 MTN Nigeria on Tuesday said it received a $2 billion tax bill from the Minister of Justice and Attorney General of the Federation relating to, inter alia, import duties, VAT and withholding taxes on foreign imports/payments. This is coming less than a week after the Central Bank of Nigeria (CBN) ordered the telecoms giant to return $8.1 billion that it claimed was illegally taken out of the country, which sent MTN shares tumbling more than 17 percent on Tuesday. The drop takes the stock’s losses since last Thursday to nearly 33 percent. MTN in a statement issued by its Public Relations Manager, Funso Aina, and made available to Daily Independent, strenuously rejected the findings of the Attorney General’s investigation and expressed the belief that it has fully settled all amounts owing under the taxes in question. It also stated that the company will continue to strenuously deny the allegations being made by the CBN and provide further clarity on the company’s position. “It is both regrettable and disconcerting that despite the historic engagements with the Nigerian authorities by MTN Nigeria, the Senate investigation into the CCI matter, and the multiple tax assessments done by the Nigerian tax authorities over many years that were satisfactorily concluded, that these matters are being reopened,” it said. “We were notified by the office of the AG last week that they have not accepted the documentation presented and they have given notice of an intention to recover the $2.0 billion from MTN Nigeria. Based on the detailed review performed, MTN Nigeria believes it has fully settled all amounts owing under the taxes in question,” the statement further added. “All dividend repatriation done by MTN Nigeria to its shareholders was done on the basis of its equity capital and all the historic dividends were declared against valid equity CCIs and in fact no preference dividends were declared and no interest in respect of these preference shares was paid. This means that it is incorrect to suggest that the conversion of a shareholder loan to preference shares has any relation to the repatriation of dividends. The two are simply not connected and we are trying to understand this position that the central bank has taken”, he further said. On the update on the CBN letter on foreign exchange, the service provider said MTN Group and the original shareholders injected a total of $402, 625,419 into MTN Nigeria between 2001 and 2006 in the form of loans and equity. According to MTN Nigeria, “These initial inflows were the basis for the issuance of various legacy CCIs obtained from authorised dealers in accordance with regulations. The inflow of capital has been confirmed by the CBN. “The CCI process is essentially in place both for the protection of investors as well as to provide the CBN with documentary evidence for monitoring capital inflows and outflows. Although over time the CCIs have been re-issued, consolidated and re-constituted to reflect the changing MTN capital and shareholding structure, the amount of 402, 625,419 has remained the same. The Attorney General notified MTN that his office made a high-level calculation that MTN Nigeria should have paid approximately $2.0 billion in taxes relating to the importation of foreign equipment and payments to foreign suppliers over the last 10 years and he requested MTN Nigeria to do a self-assessment of the taxes in this regard that have been actually paid. In August 2018, MTN submitted comprehensive documentation to the office of the AG. MTN Nigeria said it has also completed an initial assessment of the full period which indicates that total payments made to the tax authorities in regard to these foreign imports and payments in aggregate are $700 million. There are valid reasons for the differences between the actual payments and the AG high-level assessment, it said.